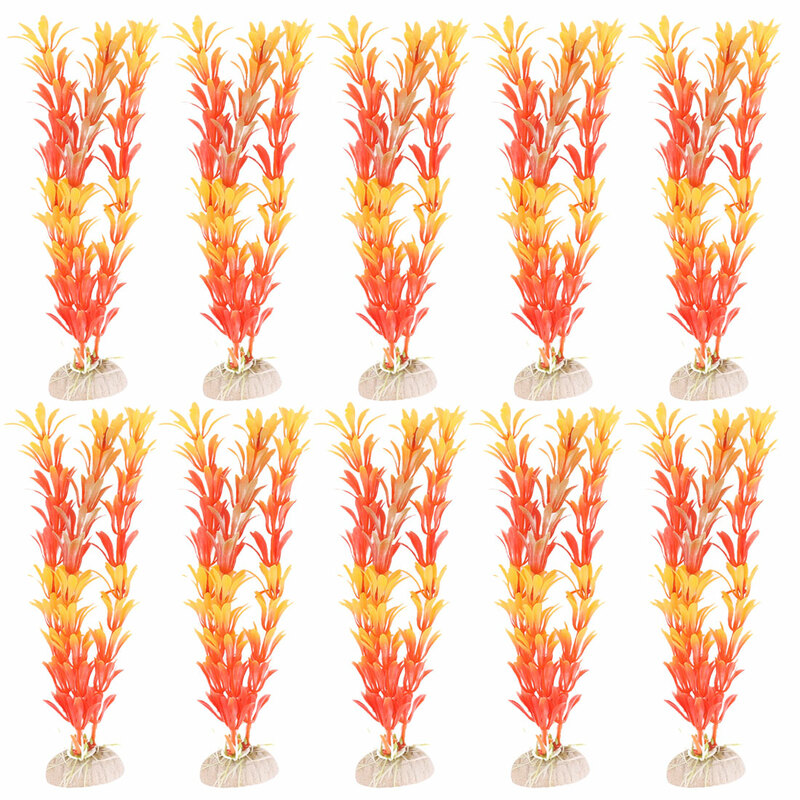 Orange Plastic Aquarium Tank Plants Decoration Grass x 10. The Plastic Grass allows the aquarium to become a living place of art, while providing excellent hiding place for fish. They are anchored with a weighted ceramic base, so they will stay where they placed in the tank. These Aquarium Grass Plants are durable in salt and fresh water. Each package contains 10 same plants, each one measures approx. 7 1/2 inch long.